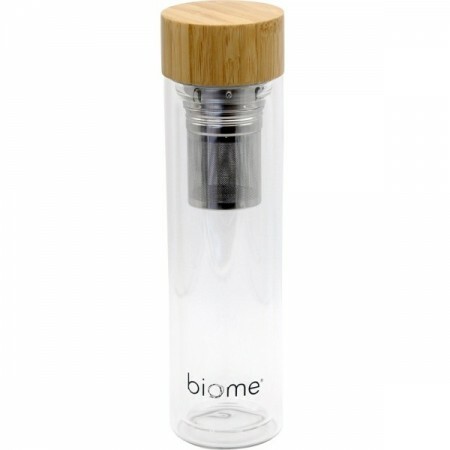 Insulated borosilicate glass tea flask, with a versatile 2 in 1 stainless steel filter for making teas, fruit infused water, coffee and more. Keeps contents warm for up to 5 hours and cool for up to 8 hours. 500ml. Biome design. Glass is an impermeable, non-porous and infinitely recyclable material completely free of harmful chemicals. Choosing a reusable option helps prevent single use disposable items from entering our oceans and saves on resources. Made from heat resistant borosilicate glass. Double walled design means it stays comfortable to the touch. Keeps contents warm for up to 5 hours and cool for up to 8 hours. 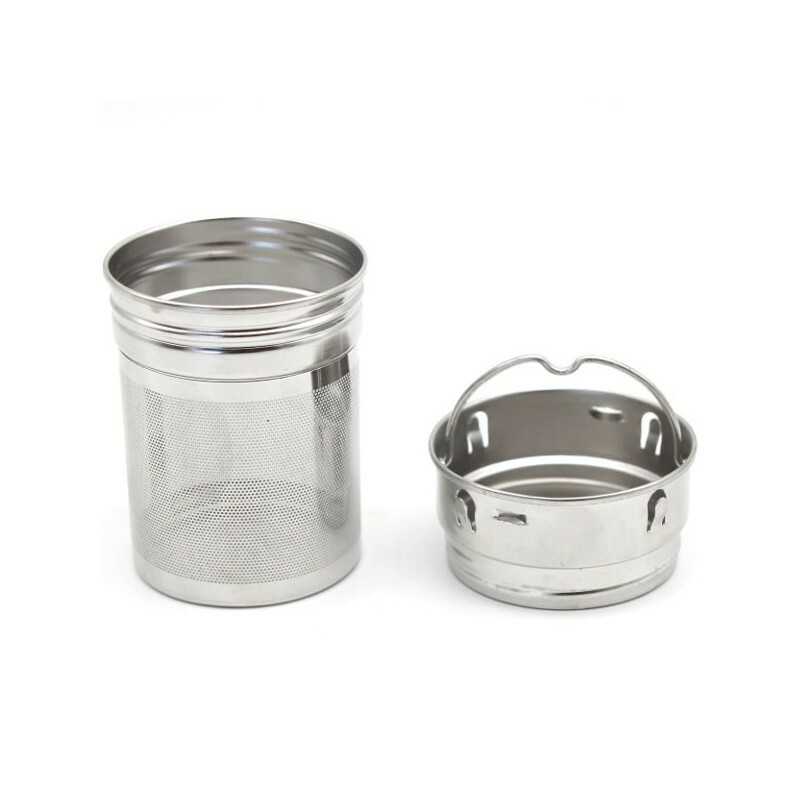 Versatile 2 in 1 stainless steel filter can be used to make tea, fruit infusions and more. Remove filter to convert into insulated coffee flask or water bottle. Can also be used for juices and smoothies. Elegant tall, slimline design with bamboo lid. Inner stainless steel lid means no plastic touches the contents. Hand wash only. Wide opening allows for easy cleaning. We recommend not carrying around in bag with heavy items. As they might knock once another and damage the flask. 500ml. 26cm height x 7cm width. Bottle: borosilicate glass. 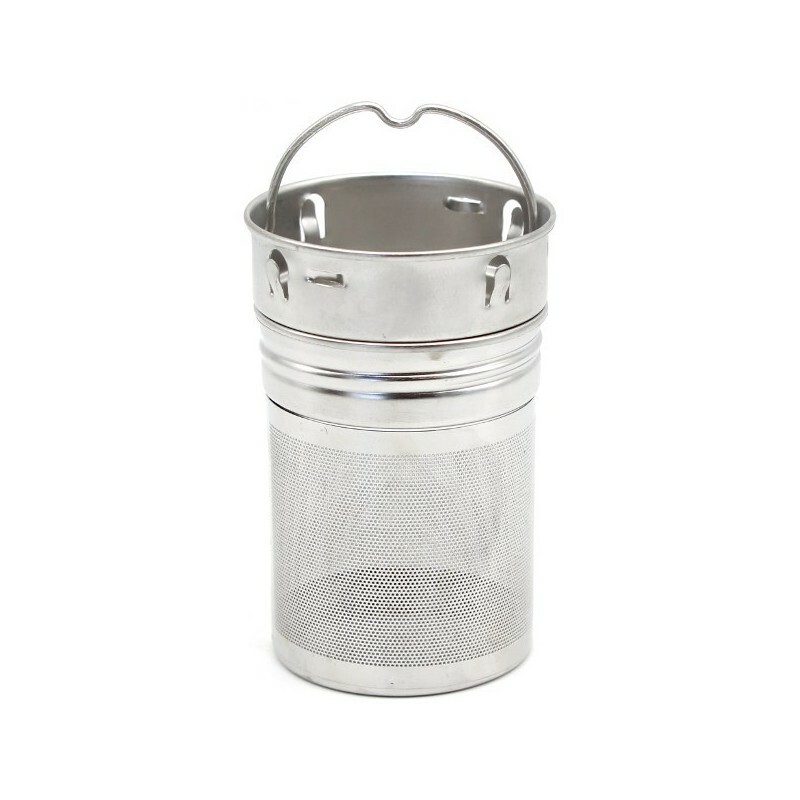 Filter/infuser: 304 grade stainless steel. 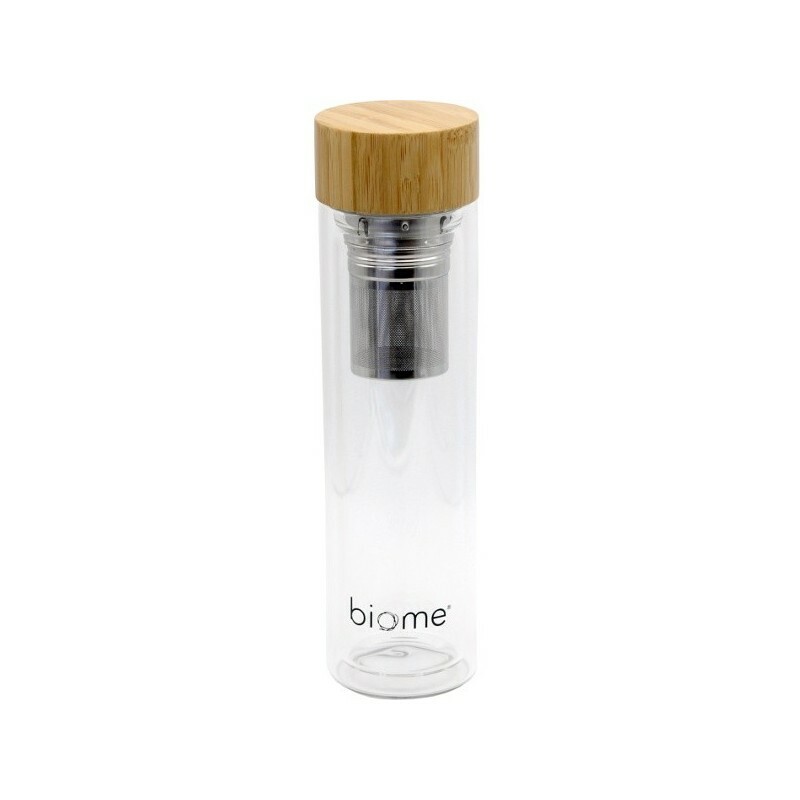 Lid: bamboo outside, stainless steel and BPA free plastic inside. Silicone seal. See all our insulated bottles. I have the use of a glass flask for my morning Chinese Lung Chung tea is a benefit to my busy day, I have the tea on hand ready to brew to wake my insides during the morning. ready for the next brew. Most cafe’s obligingly top up with boiled water when asked allowing a continuation of the flavours.